Germany specialty chemicals company Lanxess has signed a Letter of Intent (LOI) with the China Rubber Industry Association (CRIA) to strengthen existing ties. 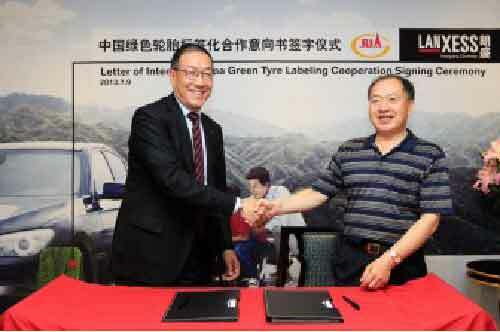 The LOI aims to enhance the awareness of energy saving, environment protection and safety among Chinese rubber and tire industry with the ultimate goal to further promote green tires. According to the LOI, Lanxess will share its expertise with the CRIA on selected raw materials for green tires manufacturing and what the company learned from the European Union’s green tires labeling implementation.